Why must a clock be round and have 12 numbers? Delight the family and guests when you mount this accent timepiece in your living space. 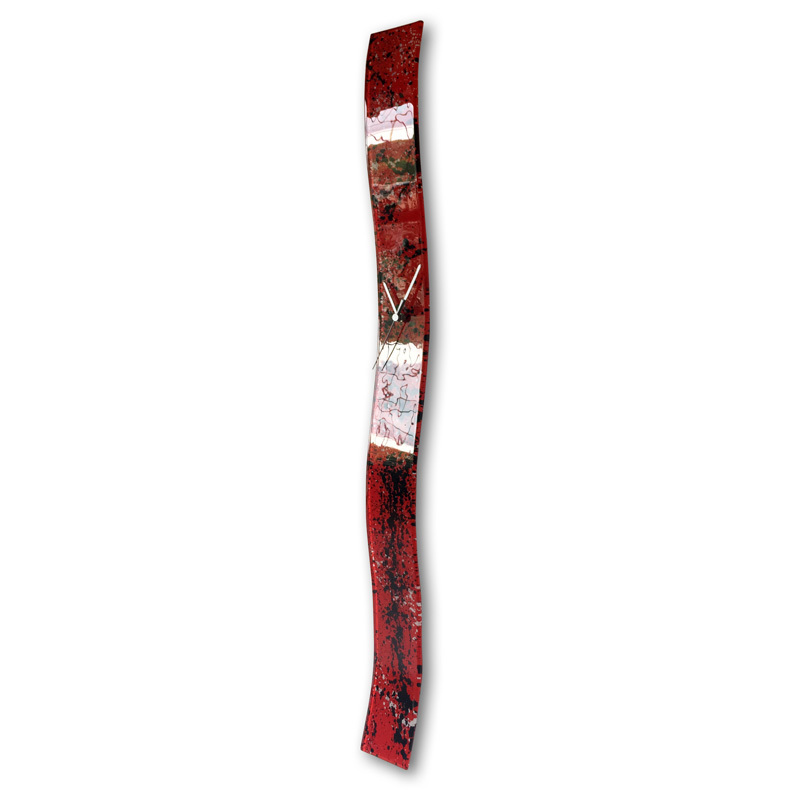 It is crafted by hand and features a long and slim curvaceous glass backdrop splattered in a palette of red, black and white. 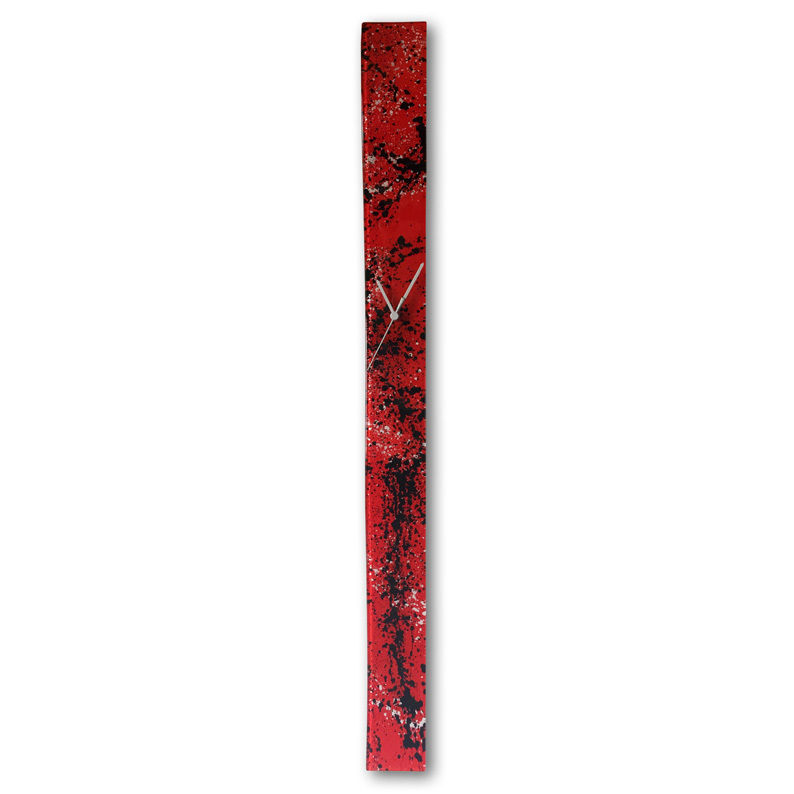 Very modern and stylish, for those who love abstract art in a functional form! Size W8cm x H98cm.